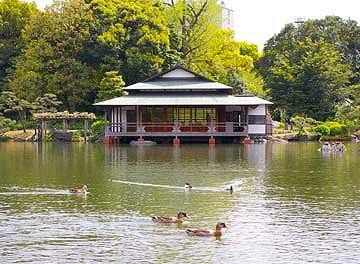 Kiyosumi Garden could be said an oasis in the downtown Tokyo east of Sumida river. 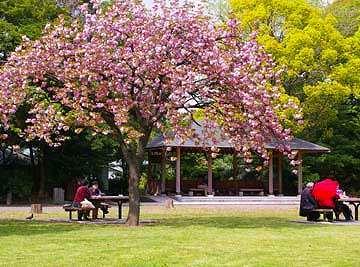 As big parks are rare in this area, the garden has been a precious open space for the people of the neighborhood. 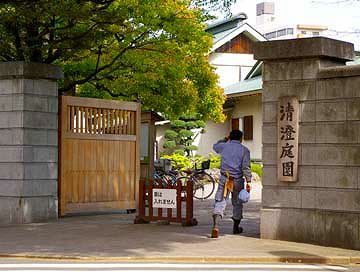 When the great earthquake hit the downtown Tokyo in 1923, many people who sought refuge into this garden survived the disasters, meanwhile tens of thousands who fled into the field of Honjo Hifukusho - military factory of uniform at Honjo - were burned to death by the fire following the quake. 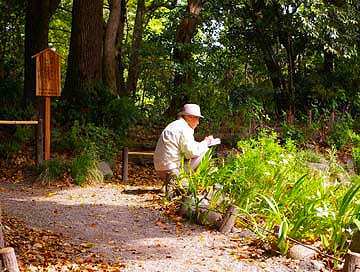 The site of the garden had been possessed by a famous merchant of Edo - Bunzaemon Kinokuniya - in early years of 18 century. 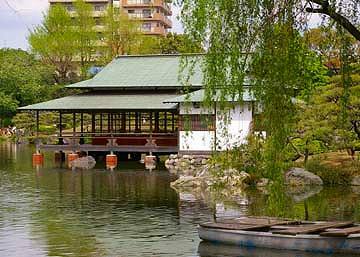 It was the midst of the century that the site was laid out as a Japanese garden by a feudal landlord Yamato-no-kami Kuze. 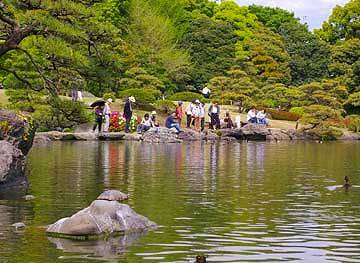 After Meiji restoration, the garden was purchased by Yataro Iwasaki - the founder of Mitsubishi , financial and industrial conglomerate. 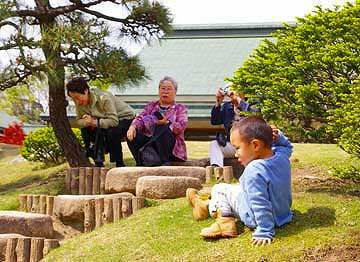 Iwasaki remade it into the more sophisticated garden seen today. 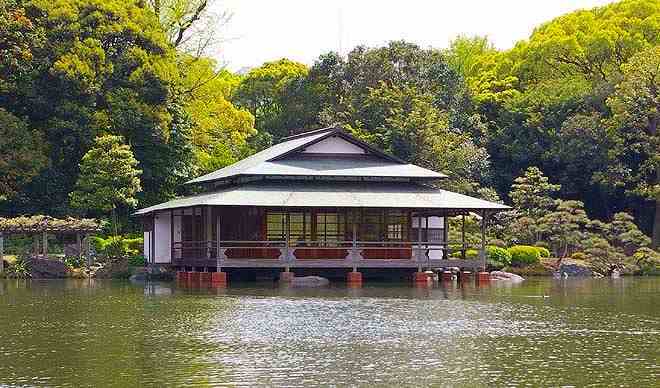 The garden, especially the west half, was severely damaged by the earthquake and donated to Tokyo City after the quake. 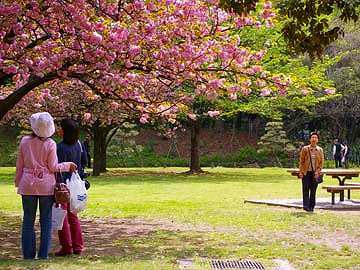 Kiyosumi Garden is located in Fukagawa, near Kiyosumi-Shirakawa tube station. 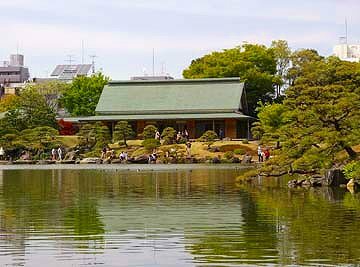 Kiyosumi garden is a typical Japanese garden of Meiji period. It has a big pond in the center and artificial mountains and excursion routes around it. 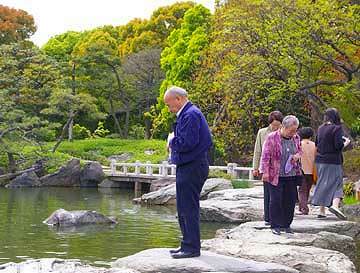 The stones gathered from all over the country are laid out around the pond. 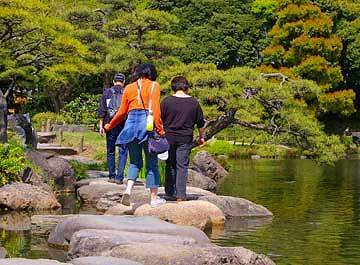 You can walk along on the stones step by step. 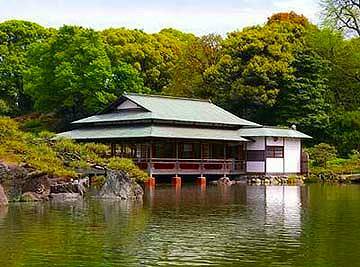 There is a tea house called Ryotei at the south corner of the pond. You can serve a tea party in the house. Mountain cherry trees are in full bloom when I visited the garden on a day of late April. 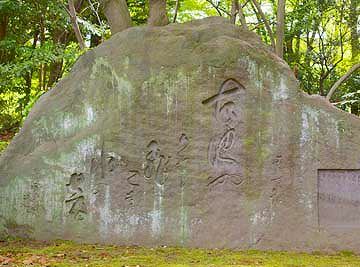 The left is a stone monument carving the famous Haiku of Basho. A frog had jumped into the hole. 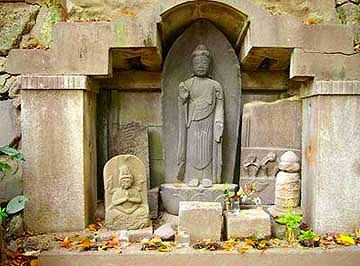 The right is the image of stone sculpture of Buddha.